With each successive album, Luka Bloom digs deeper and gazes wider… he is on top form. 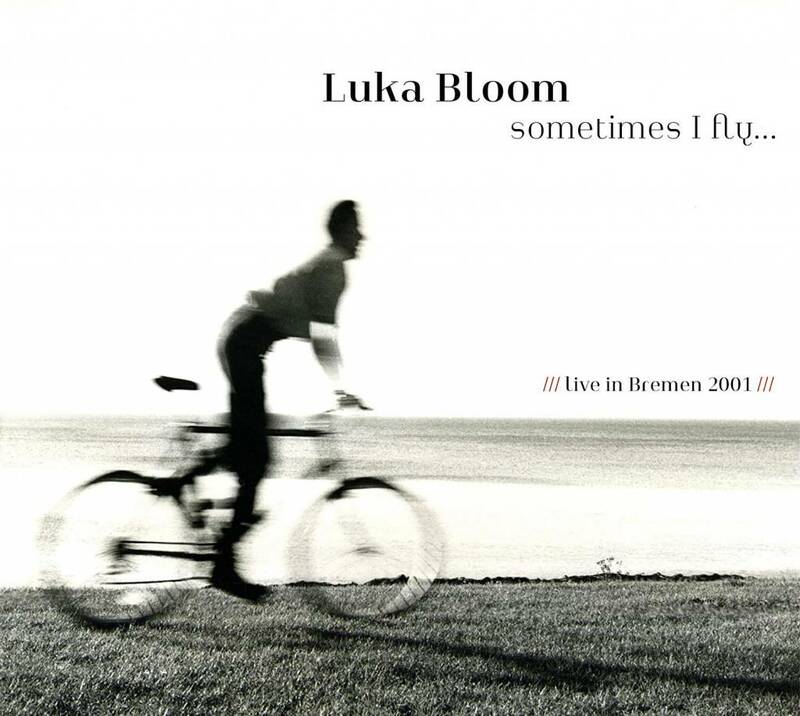 Sometimes I Fly… This album was recorded by Radio Bremen in 2001. Luka Bloom is big in Germany; he’s big in Ireland naturally but for some unfathomable reason he isn’t really big in the UK. Sometimes I Fly… is his second live album and was probably recorded about the same time as the first, given that they have several songs in common. Most of the songs come out of Luka’s early days beginning with the anthemic ‘Diamond Mountain’ from the album Turf. Instead of pressing on in the same vein he follows that with the gentle, moody ‘Don’t Be So Hard On Yourself’ and by the time he’s finished ‘Ciara’ he has the audience eating out of his hand. That may have something to do with the guitar break he plays but they even applaud the little sigh he lets out before moving on. For my money, there are three absolute classic Luka Bloom songs in this set. The first of these is ‘Gone To Pablo’, a seemingly simple song which deceives us into following the narrative we imagine before the twist comes in the reveal. Next is Luka’s greatest hit, ‘You Couldn’t Have Come At A Better Time’, a song with a chorus that everyone can sing along with but which hides a world of pain for its two protagonists. Thirdly comes ‘As I Waved Goodbye’ about the Dalai Lama’s exile from Tibet – what a masterpiece.